Time to Sell an Investment Property? Interest in rentals remains strong, but there’s been a noticeable slight decline in area rents this year. 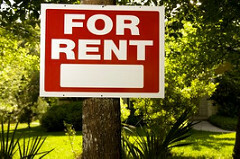 Even in high demand urban areas, rents have dipped slightly. With thousands of new apartments recently completed or nearing completion, and hundreds more under construction, rental supply may have begun to outpace demand. If you own a rental property there will be more competition the next time you negotiate a lease renewal. Hundreds of new apartments are available offering modern finishes, new appliances, high tech features and a long list of community amenities and services. Tenants may not be as quick to accept a rent increase or lease renewal when, for the same money, or attractive lease-signing incentives, they can move into newer digs. If you’ve owned your investment property for a while, this may be the time to sell and maximize your return on investment. Available inventory for sale is at historic lows and buyer demand is at an all time high – the perfect storm if you’re a seller. Properties sell quickly, often with multiple offers. Renting or selling, your property needs to be in good condition, but any minor cosmetic investment will translate to a major return when you sell. Need market information? I’ve lived and worked in downtown Bellevue for over 30 years – there isn’t much I don’t know and love about the city. A Realtor® and condo specialist for over two decades, I combine my knowledge of the city with years of condo experience to advise and guide clients through the process of buying or selling a home.